Randolo does not meet the criteria for any standard classification. It is an unclaimed Non-Aligned world located in the Erven Subsector of Bourne Sector. The primary is an unnamed dim red main sequence star. It has a luminosity of 0.007 Sols, a mass of 0.331 Sols, and a diameter of 498,000 km. (I) a vacuum worldlet, (II) an exotic atmosphere radworld, (III) a sparse stony planetoid belt, (IV) a ringed small gas giant, and (V) a small ice giant form the outer system. Many of the worlds retain satellites. No world in the Randolo system is known to have native life. 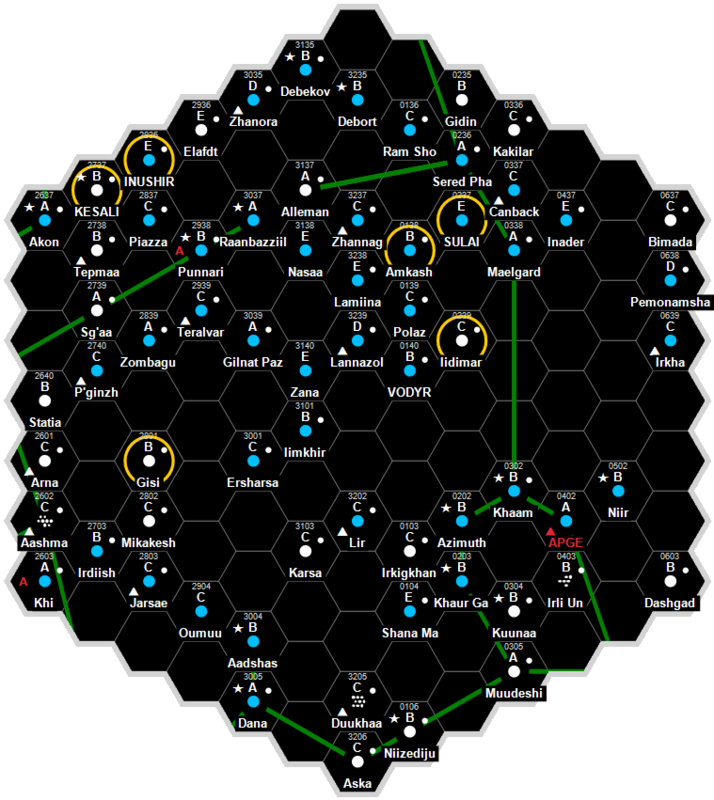 The Randolo system has no listed Starport data. The Randolo system has no listed Technology Level data. The Randolo system has no listed Government data. The Randolo system has no listed Population data. This page was last modified on 27 May 2018, at 11:11.